Current rates of species extinction exceed the evolutionary background rate, and some biologists claim we are witnessing the sixth mass extinction in the history of life on Earth. 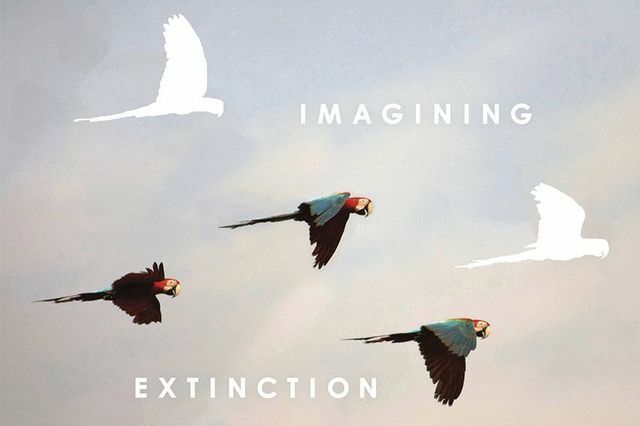 Imagining Extinction by Ursula K. Heise (University of Chicago Press, 2016) analyzes the narratives that shape public and expert debates about the extinction crisis to argue that biodiversity is primarily a cultural and political issue. Endangered and extinct species typically meet with public interest when they are connected to stories about what a particular community believes to have lost through modernization and colonization. The first three chapters trace such engagements with modernization through texts and artworks – novels, poems, popular scientific books, paintings, films, and musical compositions – as well as through global biodiversity databases and biodiversity protection laws. Often, stories about endangered species rely on the genre templates of elegy or tragedy; databases and photographic inventories also mobilize the strategies of epic and encyclopedia to convey the scope of the crisis. The last three chapters discuss the cultural meanings of biodiversity conservation in its conflicts and convergences with the animal welfare movement, the environmental justice movement, and debates about the Anthropocene. Drawing on multispecies ethnography, theories of cosmopolitanism, and Actor-Network-Theory, the book proposes multispecies justice as a new narrative for environmentalism that joins justice for disenfranchised human communities and justice for nonhuman species. By extending ecological cosmopolitanism across species boundaries, this form of justice foregrounds that definitions of what is human and what is just are culturally contingent and need to be negotiated in multispecies communities that are being modeled in speculative fiction.